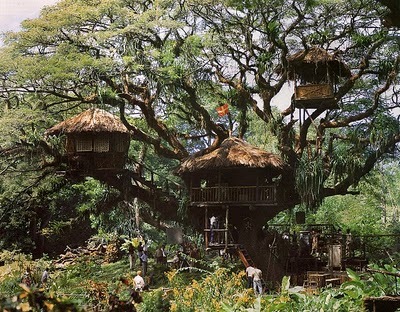 Here is THE treehouse to beat them all: that of the Swiss Family Robinson. I wrote the quote above once in permanent marker on my art desk, and when I sit down each afternoon to do some drawing or painting at that desk, I read it. It reminds me that it’s important to keep one’s promises to one’s children. It reminds me that words are important. And it reminds me of how I love a good tree house. One of my favorite childhood memories is of helping my dad build the tree house that was in our backyard in Nelson, Nebraska. 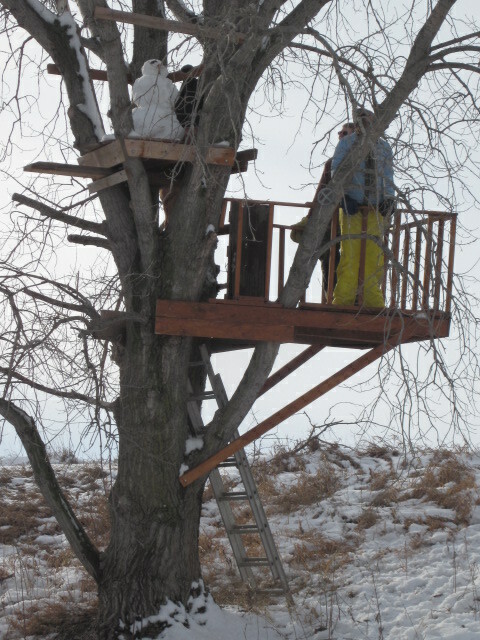 Dad built a tree house for Mark, my older brother, first. It was an A-frame structure high up in a Chinese Elm tree in our backyard. I was too little to be allowed in my brother’s “BOYS ONLY” tree hideout. Plus, I was a girl. Mark had made sure that little kids wouldn’t be able to get into his tree house by hanging a knotted rope to it. It was a simple, and ingenious device: if you weren’t big enough and/or strong enough to climb the rope, you couldn’t go up to his tree house. I couldn’t climb the rope. My dad, however, took pity on me (or perhaps just wearied of my whining) and one Saturday morning started building a lower story just for me. Have I mentioned before how awesome and amazing my dad is? He is generous, and wise, and doesn’t mind sweating on a project for a loved one or a neighbor. The addition he built for me was small, cramped, and attached to my brother’s tree house And it became my favorite place on earth. Dad attached some old cabinet doors to the front, probably to keep me from falling out, but they also provided wonderful privacy for me. I lugged an old discarded medicine chest up there, in which to store my valuables–my writing pad and pens, my sketchpad and pencils, that is. And some snacks. There wasn’t room even for a second person up there. Dad would think for a minute or two, take a deep breath, and then he’d talk for a half an hour about blue jays. He knows a lot about blue jays, by the way. And pretty much everything else, too. “Do you know why the blue jay shrieks ‘Thief! Thief! ?’” he asked me. My dad is so smart, isn’t he, mixing theology with nature facts like that? I have always been fascinated by tree houses. I’m sure this experience of helping Dad build my little hideaway was a big reason why. Also I’m sure reading Swiss Family Robinson (and later, watching the movie) had something to do with it. I would guess, also, growing up in a very busy, noisy house full of creative and gregarious people and all their noisy friends who stopped by continually, also spurred me on to desperately desire a little private place of my own. My dad and his brother, my uncle Harry, built a tree house for Bethie and Timothy when they were much younger, but the ravages of time did it in, and it fell out of the tree last year. Amalia had been longing for her own tree house ever since. Bryan had gone so far as to make plans to build the tree house sometime last summer, and look over the available boards and leftover lumber in his shop and the shed. But Timothy had more concrete plans in his head. One cool day in the early spring, I overheard him talking with Amalia. “I’ve got lots of ideas for your tree house,” he said to Amalia. In retrospect, I wonder if Timothy was anxious to start on the tree house so he could just spend a day climbing in the huge cottonwood tree next to our pond. It would be more fun than, say, helping me plant potatoes. The boy likes to climb. 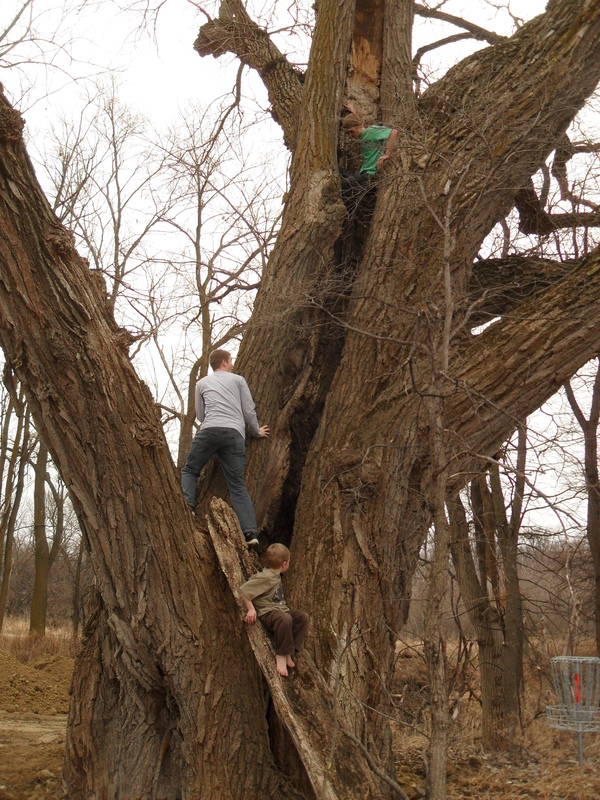 We discovered this grand cottonwood tree in a disc golf course near here. Much of it was hollow, and the boys couldn’t resist climbing it. Timothy is at the top, and then Matthew, and Malachi was at the bottom. 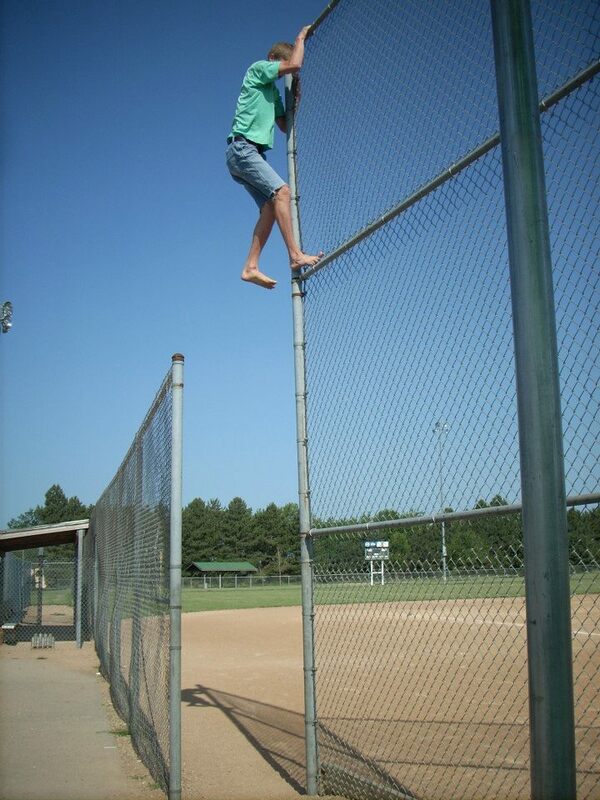 Here he is on top of a very tall fence. Here he is, high up in a tree. I promise, I have dozens of these photos. “Start it today,” she said. “Please start it today. I’ll make you brownies. And a pie. Any type you want. And cake. What kind of cake is your favorite?” Amalia uses her baking skills to her advantage, and nobody ever seems to mind. Especially not her 18-year-old, always-hungry brother. “Dad wants to help,” he pointed out. “I wouldn’t want him to feel left out.” Timothy is a thoughtful son. When the two came to me, I gave them my blessing. I knew that their dad would appreciate that the project was getting started, and that he wouldn’t mind missing out on the first step. Timothy took off with a bounce in his step, and collected the necessary tools, bolts, and lots of scrap lumber. Amalia kept a steady river of ice water and lemonade flowing to her brother, and started working on a massive batch of brownies. 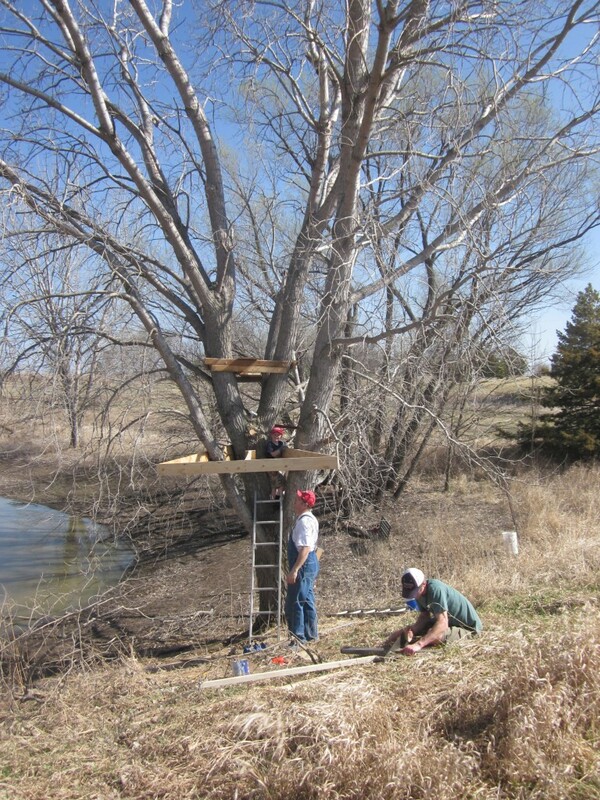 Timothy bolted supporting boards to the tree, and attached a few preliminary boards. Amalia made a special lunch. Timothy has the support boards bolted to the tree, and Dad has arrived to help. 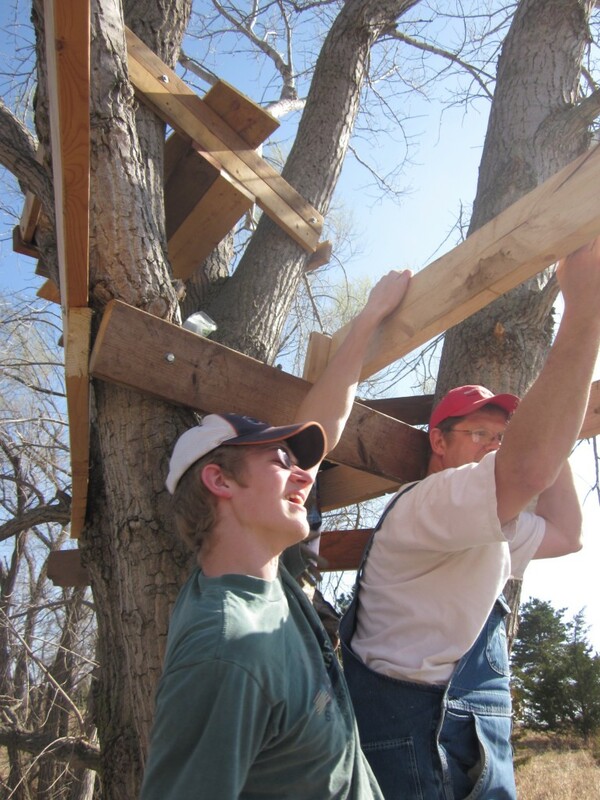 The next day, Bryan was home from work, and the tree house became a family project. Amalia did a lot of running, bringing drinks, snacks, and any supplies the guys needed. Malachi played with the scrap lumber at the base of the tree. Bryan and Timothy worked together to put down a deck, a railing, a second deck, and more supports. The tree house took shape. I took pictures. 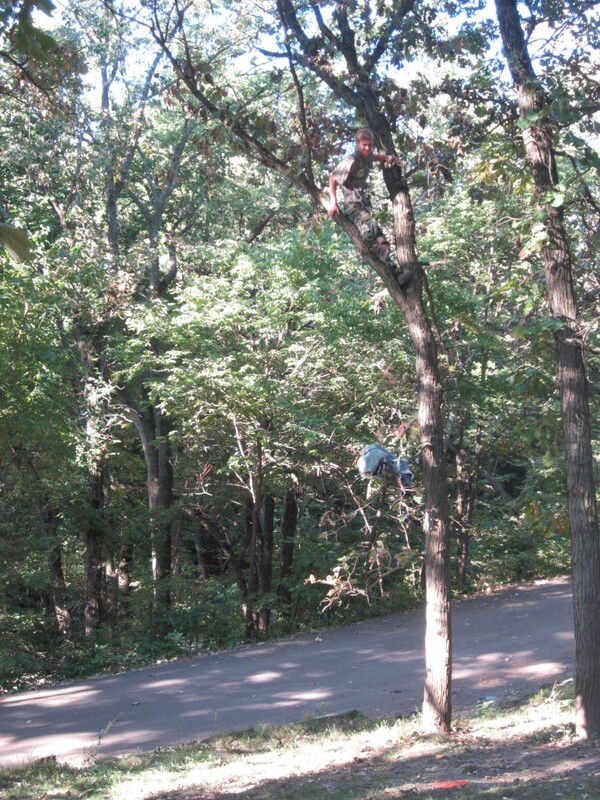 The picture I did not get was the best one: Timothy, left arm loaded with wood, right arm pulling himself up into the tree. My monkey son, who has always been infatuated with climbing—climbing trees, climbing poles, climbing, climbing, climbing. Making sure the support boards are quite level. . .
I’m so proud of that boy. Not to mention very happy that he’s never fallen out of a high place. Knock on wood. Little Mack watches the building process closely. By the end of the weekend, Amalia’s fancy new tree house—complete with a high perch (dubbed the “Eagle’s Nest”) was finished. Amalia spent the next few days happily waterproofing the structure. Now, she was the one with a bounce in her step. A couple weeks later, I was having a conversation with a young couple from Omaha, and I was telling them about this tree house that my guys built. They were struggling to understand what I was talking about. They owned a new house in a new subdivision, with only young trees. Finally one of them burst out “Oh, you mean a real old-fashioned tree house, not the kind that you buy at the store . . .” I stared at them, and was a bit startled at the gap of understanding between us. Of course that’s what I meant. You can’t buy a tree house at the store—you can buy a prefabricated structure, more like a playhouse on stilts, but that’s not a tree house. I had to thank the God who made blue jays that He gave me a dad who would build a real tree house for me when I was a little girl, and a tree big enough to put it in, too. Also I’m thankful that He also gave me a husband and son who would make my little girl a real tree house, too. Amalia has spent many happy lonesome hours out in that tree house, and truth is, I plan to, too. 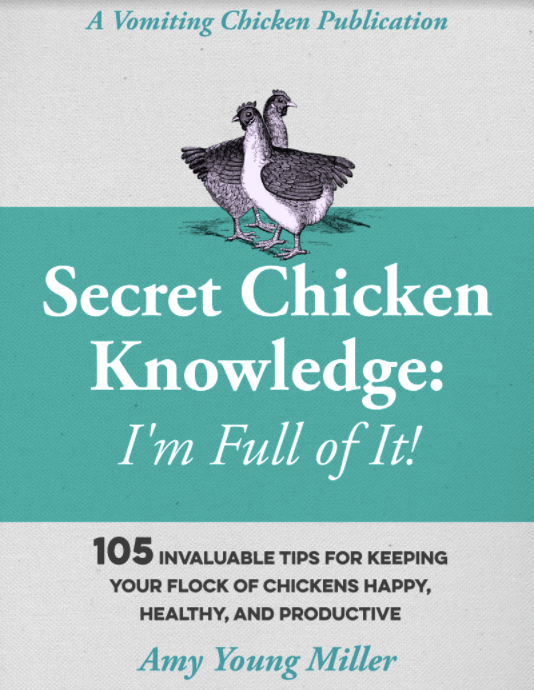 ← Moving an angry guinea fowl is not for the faint of heart! Thanks for reading, Cher. Come visit and I’ll take you to spend some time with my Dad. He’d love that. That cottonwood tree is amazing. What is it about a tree that being up in its limbs is so compelling? I would love to join you in your fabulous tree house! Alessa, I would be honored to give you a tour! Amy, this is one fabulous story and the photos are awesome! 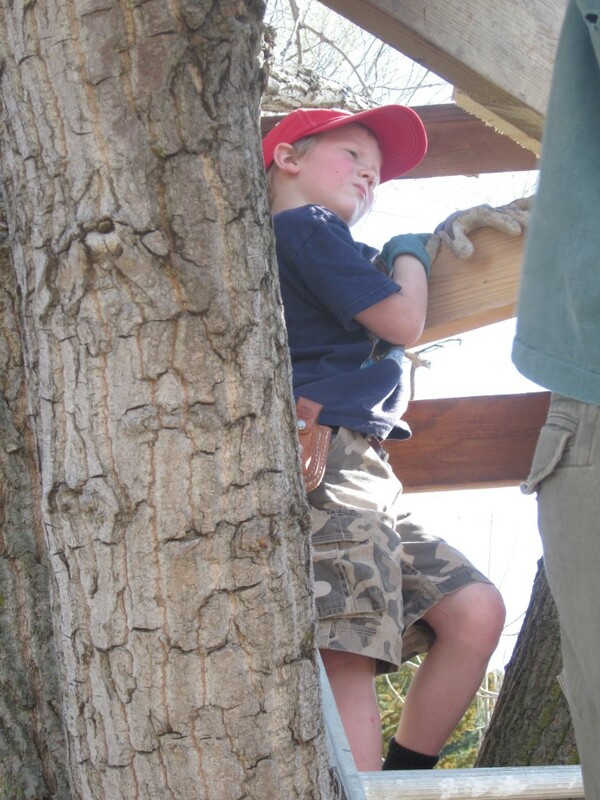 I loved climbing trees and hanging out in our tree house. You just took me back in time to a wonderful moment in my childhood. Thank you! Victoria, I’ll bet you have a great tree house story then, too? I appreciate your stopping by again! THanks! I’d love a tree house, and I’m far from a kid (at least on the outside). I have lots of trees in my garden, but not the body to build one. I think it’s a universal feeling: everybody loves a tree house! Thanks for stopping in, Linda! I agree with everyone esle about the story and the pics – put a smile on my face! I also like the points in there about taking action, and keeping promises – not forgetting we also need to keep promises we make to ourselves! Also I might point out (and I will) that writing down your promises to yourself (and others!) is vitally important, too. I wouldn’t have felt so strongly about my daughter’s tree house happening if I hadn’t written down that quote. Just sayin! In any case, thanks for reading! Agree with writing promises down. The Great Gordino was an act I did when starting out in entertainment. It was inspired by The Great Gonzo on an old Muppets vinyl LP! The act wasn’t great (much like Gonzo’s) but the name made me smile so much I used it ever since (not all the time natch!) and it helps me to make a mental mark on people. That’s a great place to read, Arwen! 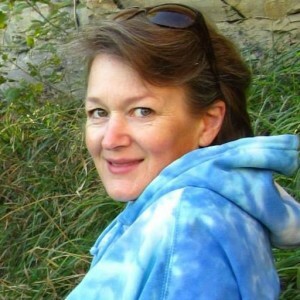 Thanks for reading–best wishes to you! Sounds like a tradition has been made- how wonderful would that be? Stories that can be passed down, and tree houses to be built. Sweet! I Do use my baking skills (that you encouraged and prodded on, might I add) to my advantage. I can stop, if you want. . . I love the quote about standing by your word. It’s a great one that should be posted where we can see it! I enjoyed reading about the tree houses. I never had one growing up – no trees in the yard! We just had some yucca plants that were full of bugs, so my sister and I wouldn’t have gone near there for anything! I loved the pictures that went along with the ppst. I love the SFR’s treehouse. I watch the movie just for those scenes. Oh, me, too! Watching that movie as a kid is probably why my dad was nagged until he built my brother Mark and me a two-story treehouse (we were lucky!! ).